Time management can be a challenge for a new faculty member – but the science is rewarding. After growing up in Japan and Malaysia, Izumi Fukunaga moved to the UK to study neuroscience. 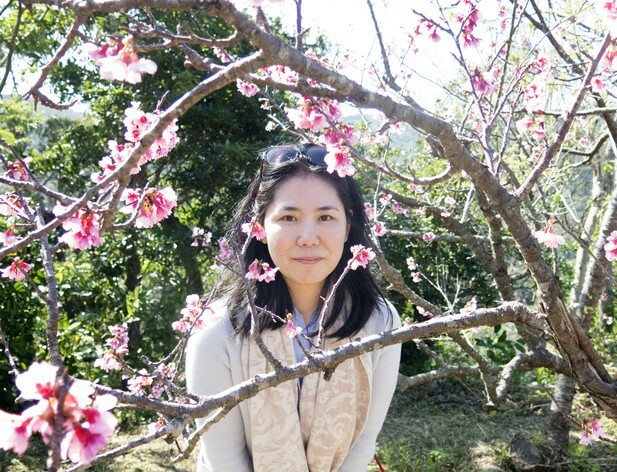 In 2017, after one long postdoc, she became a faculty member at the Okinawa Institute of Science and Technology Graduate University (OIST) in Japan to set up the Sensory and Behavioural Neuroscience Unit. Her lab’s first paper, which looked at how neurons in the olfactory system adapt their responses as animals perform different tasks, was published in eLife in February. Did you always intend to come back to Japan to set up your lab? Not at all! It was quite a surprise for me because I left Japan when I was 13, and my academic Japanese is terrible. I came across an open call for my position, for people from any discipline, advertised on Naturejobs. I already knew that OIST is an international place and that I would be working in English. An important deciding factor was an interview I read with Jonathan Dorfan, the previous president of OIST. I became convinced that the multidisciplinary nature of the institute was ideal for my research, since neuroscience is at a crossroad of many disciplines. Did you apply for other faculty positions? Yes, I applied mainly in the US, and for some in Britain. When making my final choice, I thought that OIST was a place where I could do the research I wanted to do with real academic freedom. That comes a little bit from the internal funding, and also because the institute is well equipped. In addition, it doesn’t have departments, so it is stimulating to be able to mingle with people from other disciplines. What did you enjoy the most about setting up your lab? I really enjoyed designing and building the lab. I was given an adjunct position before I arrived here physically, which allowed me to start some of the building process. One of the first things I was given was a plan of the empty space and I could draw, in Illustrator actually, where things like the curtains and the exhaust system would go and then discuss it with the architects and the facility managers. I also started buying equipment. When I arrived, I had huge mountains of boxes to open. It was like Christmas! And what was the biggest challenge you faced as a new faculty member? I guess the time management – suddenly there’s a barrage of new responsibilities. I now have commitments at graduate school, including interviewing students, teaching, mentoring, and sitting on thesis committees. I also sit on faculty council, which meets every month, and I’m involved in faculty search, I’m on the ethics committee, and lots of other things. It took me a while to figure out how to balance all of these competing interests and still focus my attention on science. It’s sort of a battlefield, but I’m enjoying it. How did you recruit your lab members? I advertised positions on the institute website and a few society websites, and then I used social media and other paid platforms like ResearchGate to spread the word. Students are, on the other hand, first admitted to the graduate school, so recruited internally. I was looking for people who have goals that are the same as mine, people who share the same passion, and who also have the right attention to detail. I would ask myself, “Am I excited by the research the candidate wants to pursue?” I think everything else follows from that. People learn new skills pretty quickly if they’re passionate about the topic. Now let’s talk about your recent eLife paper. What inspired the project? In other sensory areas of the brain, especially in the visual system, there is an effect called attentional modulation: paying attention to something boosts the activity of the part of the brain that represents the signal from that thing. I wanted to know if there’s something like that in the olfactory bulb, the first smell centre of the brain. So I constructed a new behavioural experiment and carried out some microscopy to see whether there is that kind of specific modulation. How long did it take from starting the project to publishing the results? I set up the preliminary experiments with my former boss while I was a postdoc at the Crick in London, about three years ago. But all of the data that I presented in eLife is actually from my lab – Anzhelika Koldaeva, the first author of the paper, carried out all the experiments. How would you summarise the main result of your paper? One way to explain this is to think about coffee: it is easy to distinguish the smell of coffee from the smells of, say, chocolate or cheese; but it is more difficult to distinguish the smell of a particular type of coffee bean from the smell of a different bean. This kind of change in our demand happens so quickly all the time. So somewhere in the brain there’s a change, but how early does that change take place? What we showed in our paper was that neurons in the olfactory bulb of a mouse respond to incoming smell signals in a way that depends on what the mouse needs to do. Was there a moment where you realised you’d found your key result? It was a holiday. I was in a cafe analysing data, which was great – it was relaxed, and I didn’t have emails bombarding me. I had been pursuing another line of thought but I felt like it wasn't going anywhere. So I just suddenly changed the analysis method I was using and everything came together. What was different about how you worked on this project from your postdoc projects? I had to be cleverer about time management. When I was a postdoc I could wait for the moment of inspiration to come, but now I have to work whenever I have the time. And then there was working with Anzhelika. It was her first neuroscience experiment actually – she studied mathematics before – but she was dedicated and had a meticulous attention to detail that was nice to see. So to be able to share this with somebody else in the lab, who I taught, was really rewarding. How did you choose where to submit the paper? Visibility and a good editorial process were key. I wanted the paper to be read not just by people who work on olfaction, but by general neuroscientists and possibly other kinds of scientists. I had dealt with eLife before and I knew about the great editorial process and everything being quick. Also this is a project that I had been thinking about for a long, long time and I didn’t want to have potentially a lengthy process of repeating experiments. I preprinted the article too, because I think it really speeds science and I also enjoy reading other bioRxiv preprints. How did you celebrate when the paper was accepted? The whole lab went to a very nice Indonesian restaurant and had a hearty meal together. So this paper was really a first step – it just describes what the modulation looks like – but now we want to go deeper and try to understand the mechanism that’s behind it. And overall we are interested in the early stages of olfactory processing being a feedback loop. We can’t understand how it works by just putting in an odour and observing the signals that come out – it’s always affected by some kind of modulatory signal, which may reflect our general physiological state, like sleeping or not sleeping. I feel that that understanding this feedback is key to understanding the sensory systems. How do you hope your group will develop over the next few years? I’d like my lab members to develop as individual scientists and feel confident to make their own discoveries, even without my help. And I really want to solve this feedback system – that’s my big challenge. Do you have any advice for other researchers who are about to establish their own labs? It’s okay for not everything to be perfect. Enjoy the science!